Claire’s ear piercing service starts from £15 for 2 love piercings. We also offer a rapid aftercare package so you can change your earrings after only 3 weeks instead of 6. 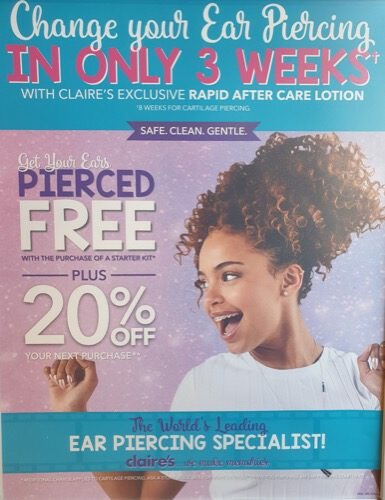 PLUS, with every piercing, you will receive an exclusive 20% discount voucher to use in store. 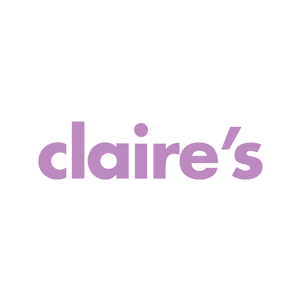 Come and get your ears pierced at Claire’s – the world’s leading ear piercing specialist!